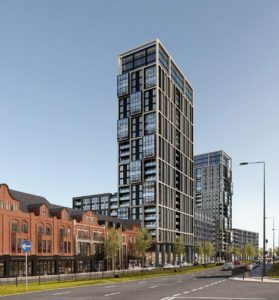 Planning officials of the UK’s second city, Birmingham, have recently endorsed and approved the plans for a new city centre redevelopment housing project, Monaco House. Comity members of the city council’s planning department unanimously approved planning consent after being hugely impressed by its conceptualisation. Members of the planning comity embraced the unique ₤ 275 million ($ 357 Million) urban community concept, announcing that it would help further deliver much needed residential housing for the cities residents, both existing and future. 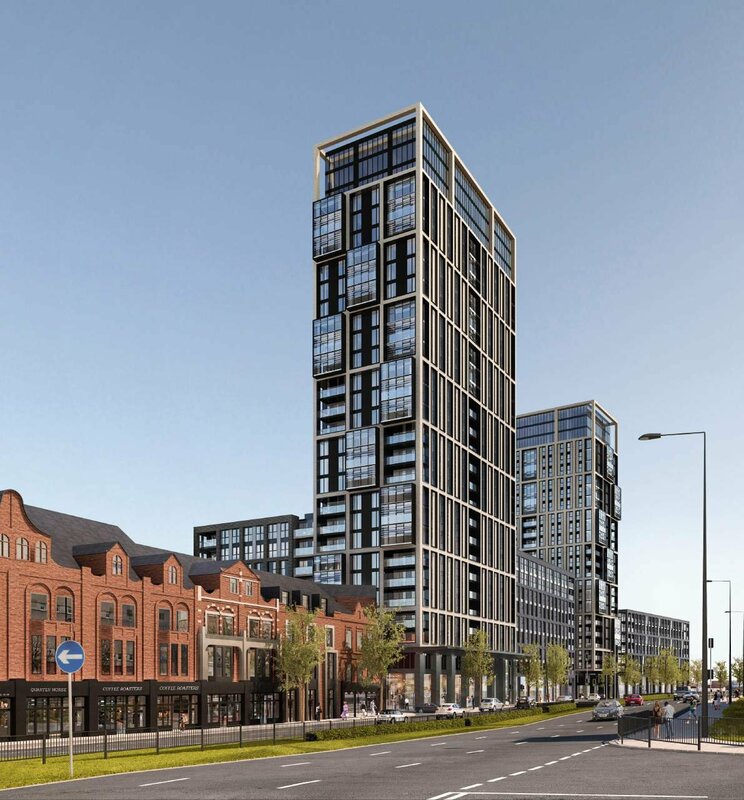 The development will entirely change the current 7 acreages ‘brownfield’ industrial land site into a thriving ‘village community’ that will sit on the edge of Birmingham’s dynamic and bustling city centre. It will include a total of 11 condominium blocks, ranging in size from between 5 and 10 stories. They will be positioned alongside a pair of iconic landmark high rise blocks, 26 and 29 storeys respectively. Collectively, the development will provide 1,009 much-needed residences, featuring 92 affordable housing residential properties. A blend of 1, 2 and 3 bedroom condominiums, together with a cluster of town-houses, will be administered by a single service provider, yet to be confirmed, that will make it easy for home-owners within the complex to up-size or down-size as their lifestyles change over time. Additionally, there will be a further 16,285 sqft of retail and commercial space within Monaco House granting inhabitants easy access to a myriad of ground-floor shopping outlets, coffee houses, restaurants and bars. Landscaped communal and private spaces, as well as pedestrian walkways, are also incorporated into the development’s planning, as are 335 below ground car parking spaces, a concierge service, on-site fitness centre and a cycling club for residents. The development will link directly to its bordering city centre locales and amenities via new roads and pathways. When Will Monaco House Be Handed-Over? Building and construction is slated to begin by the end of 2018 and projected to be concluded in 2023. Simon Mobley, Managing Director of Edifice Invest UK Ltd said, “Monaco House will be a milestone development for Birmingham’s city centre and redefines the model with regard to city centre living in general. It will provide generous open spaces and amenities for all its inhabitants and will help fulfil the city’s increasing housing needs and requirements”. Simon went on to say, “Birmingham investment properties are attracting a lot of interest from investors as they begin to understand that the fundamentals underpinning Birmingham’s growth are solid and very real. Some UK cities rely on market noise and hype to attract investors, Birmingham certainly does not”. Despite the fact that Brexit continues to throw up uncertainty in the minds of many investors, it is an undeniable truth that those individuals who have sat on the fence for the last 2-3yrs have been caught out in the cold having failed to capitalise on all of the UK’s solid economic growth and healthy upswing in its property market, in that time. Brexit anxieties have already been priced into the UK financial markets and despite all the articulated worries set out in the national and international media, life moves forward. Regardless of whether one sits on the fence or not, the markets wait for no man. The very same might be said for the UK’s second biggest city, Birmingham, a UK regional economic powerhouse. It proceeds to go from strength to strength and possesses a legitimate and genuine need for increased housing. The arrival of new blue-chip companies to the city, bringing with them a highly educated and salaried workforce that needs to be housed, only serves to further underpin Birmingham’s current and future success. PreviousPrevious post:Section 24 (the ‘Landlord Tax’) explainedNextNext post:Brexit – What Brexit?